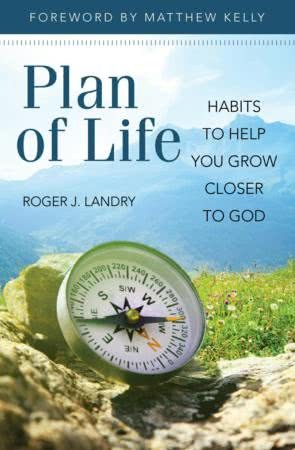 "Plan of Life: Habits to Help You Grow Closer to God"
Father Roger Landry, a priest of the Fall River diocese and member of the Priestly Society of the Holy Cross, has published a book that was reviewed recently in the "Boston Pilot." 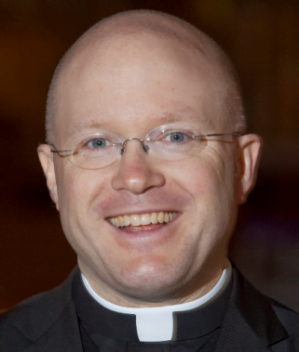 Father Roger Landry, a priest of the Fall River diocese who presently works for the Holy See's Permanent Observer Mission to the United Nations, has just written an invaluable guide to developing a solid Christian life entitled Plan of Life: Habits to Help You Grow Closer to God (Pauline Books and Media, 2018). Full disclosure: In his acknowledgments, Father Roger first thanks his parents, whom I have been friends with for over 25 years, and then the priests and lay people of Opus Dei whom he got to know during his college years at Harvard College. They, he says, “introduced the Plan of Life to me and inspired me to live it.” Since I was one of those people who met young Roger during his first week of college, I’m not exactly impartial on the subject. Plus, the book comes recommended by glowing blurbs from what amounts to a Who's Who of American Roman Catholicism, from Matthew Kelly, author and founder of “Dynamic Catholic,” who wrote the foreword, to Cardinals Timothy Dolan of New York and Sean O'Malley of Boston, to George Weigel, biographer of St. John Paul II, and Father George William Rutler, famous convert and author, as well as Peggy Noonan, columnist and speechwriter for President Reagan. Based on a series of columns Father Roger originally wrote for The Pilot and The Anchor on various spiritual practices, the book lays out a game plan for holiness and intimacy with God. In an age of self-help books, this one is geared to help people turn to God for strength, joy and peace. I totally love this book, and think it will be invaluable for people intent on loving God and developing godly habits and practices. Vatican II solemnly proclaimed that everyone is called to holiness, which should be the goal of our life. 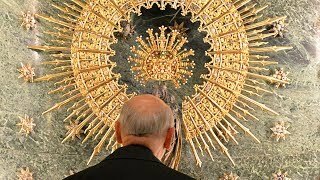 Father Roger carefully explains the means to grow in holiness under the guidance of the Holy Spirit, the Bible and the Church’s rich tradition of sanctity and apostolate. Plan of Life concentrates on the tried and true means of spiritual progress: daily mental prayer, Bible and other spiritual reading, Mass, Holy Eucharist, rosary, examination of conscience, frequent confession and so forth, all under the guidance of the Holy Spirit, “a sanctifying fire,” as Father Roger calls Him. This little book has the power to inspire and guide many on the path to holiness. In encouraging the frequent practice of aspirations, which he calls “short prayers of love and trust,” Father Roger helpfully gives us some examples drawn from the Bible and the lives of saints. Words like Fiat! (Let it be with me according to your word! Luke 1:38) or “My Lord and my God!” (John 20:28). His book is an invaluable and reliable guide to building a vibrant spiritual life. In the New Year, when we formulate resolutions to improve in various ways through diet, exercise, and better habits of work and study and family life, we would do well to get a copy of this book and try to gradually put its recommendations into practice. If so, it will change our lives for the better. Dwight G. Duncan is professor at UMass School of Law Dartmouth. He holds degrees in both civil and canon law.